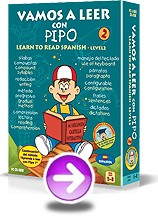 Learn with PIPO is a collection of Spanish educational software that covers a wide selection of subjects through game-like activities. From Early Learning and Reading to Math and Science, each title immerses the children in a creative and fun educational journey. 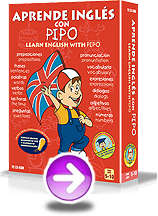 Aimed for children of ages 2 to 12, Learn with PIPO empowers every child to develop vocabulary, greater listening and higher level thinking skills. To accommodate for different learning environments, our software is offered in CD and Internet based formats. There are individual sections for each. We welcome you to visit our demo section to get a feel for what the in-game content looks like. 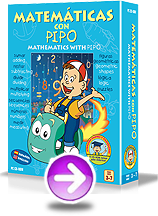 Enjoy your stay and welcome to the PIPO educational Journey.